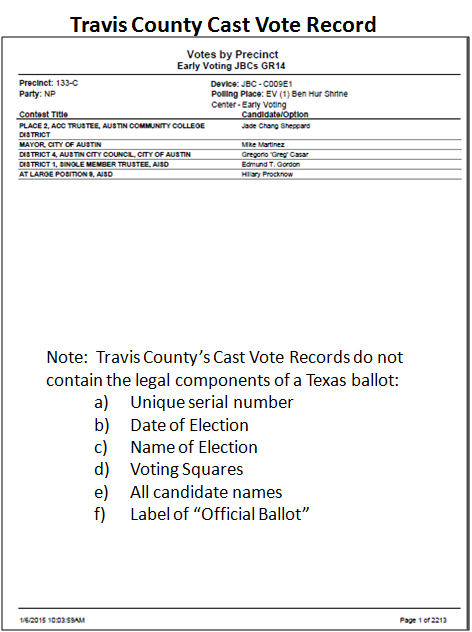 Nine corruption errors with the electronic memory cards that store votes: Corrupt Mobile Ballot Box errors during vote tabulation on election night, “Invalid/Corrupt MBB” errors. When asked about the errors in her deposition, Dana DeBeauvoir, Travis County Clerk said “I’ve never heard of so many” (page 98, line 20). 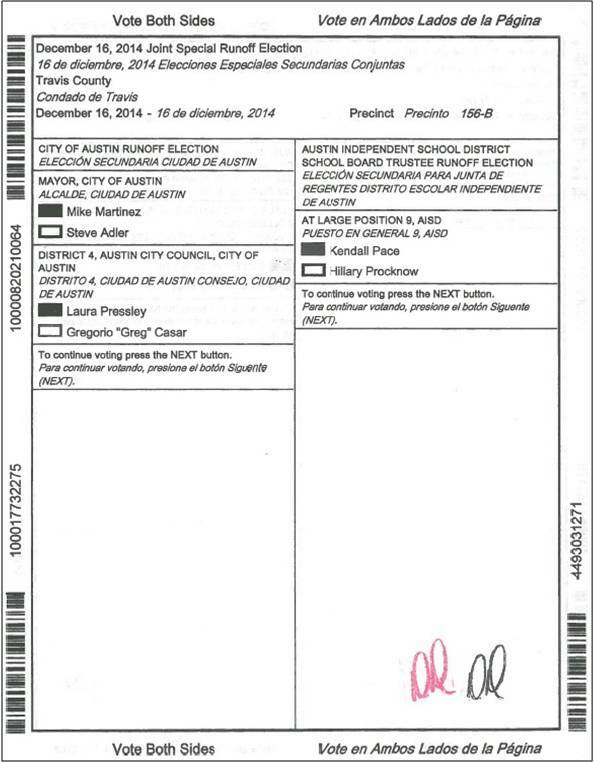 More ballots than voters names as reported during Early Voting in 15 of 18 precincts. Pressley Sixth Amended Petition for Lawsuit and she filed an accelerated appeal on June 15, 2015.